High Quality Content by WIKIPEDIA articles! PBASIC is a microcontroller based version of BASIC created by Parallax, Inc. The language was created to bring ease of use to the microcontroller and embedded processor world. 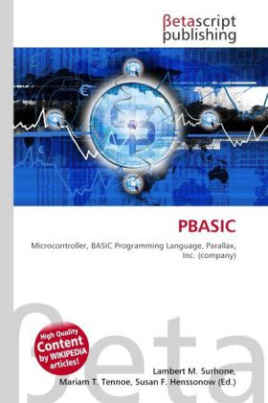 PBASIC is used for writing code for the BASIC Stamp microcontrollers. After the code is written it is tokenized and loaded into an EEPROM on the microcontroller. These tokens are fetched by the microcontroller and used to generate instructions for the processor.